CSS is the fundamental way of styling our web pages. Its deceptively easy syntax allows us to do many things to affect the visual layer of our work. And especially with CSS3, the language has gotten even more powerful. There are many useful CSS techniques and tricks out there for you to take advantage of. This is a collection of a few useful CSS snippets that you might want to keep in your toolkit. If you would like to use relative units (em) for your font sizes, declaring 62.5% for the font-size property of the body will make it easier to convert px to em. By doing it this way, converting to em is a matter of dividing the px value by 10 (e.g. 24px = 2.4em). When you focus (:focus) on an input element, perhaps you have noticed that Safari adds a blue border around it (and Chrome, a yellow one). Please note that outline is used for accessibility purposes so that it is easier to see what input field is active. This is beneficial for those with motor impairments who cannot use a point-and-click device (such as a mouse), and thus must rely on alternative means of navigating a web page, such as the Tab key. The outline is also useful for able-bodied users who use keyboard shortcuts to get to web form input fields (it’s easier for them to see which input is currently active). 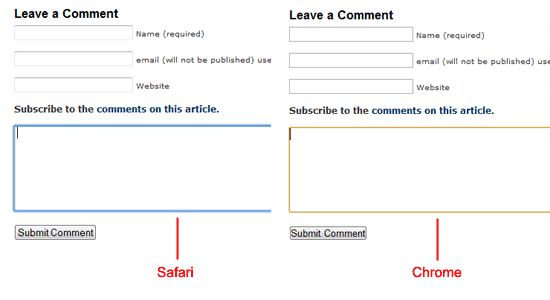 Therefore, rather than completely taking out the outline, consider styling your input fields such that it indicates that it is the focused element. For progressive enhancement, you could use the transform property that is supported by many browsers that have CSS3 support. Here’s a trick for enlarging a elements on hover by 110%. 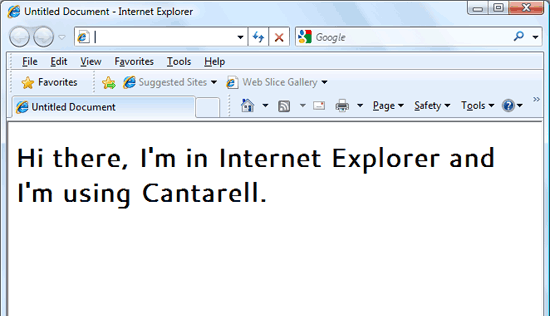 Need to target IE browsers? Here is a quick hack that doesn’t require conditional comments (note that your CSS will therefore not pass auto-validation, which is fine if you are aware of why it doesn’t). The code below will change the background-color of divs depending on what browser the user is viewing the web page under. Since * cascades down to IE7 and below, we use _ after that declaration so that IE6 (and below) has a different background color from IE7. This example gives the div element a 70% opacity. We need to use proprietary CSS to get it to work on Internet Explorer (which will invalidate our code under W3C standards). In CSS, when two properties apply to the same element, the one that is farther down the stylesheet is the one that will take effect. However, by using !important at the end of a property value, this can be changed. The h1 element will have a red color with the CSS above. Now, the <h1> element will be green. 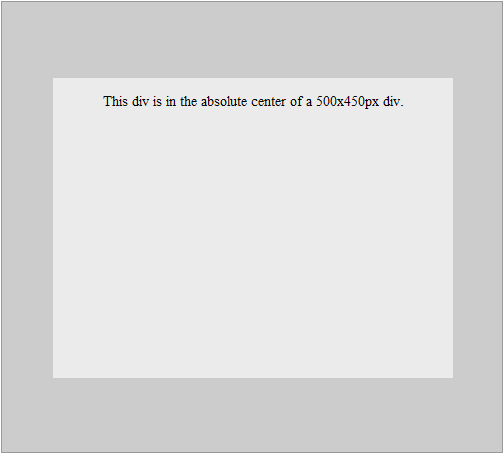 Here is one way to center a fixed-width/fixed-height div at the center of its container. This could be adapted to centering text, images, etc. within their containers. Essentially, we do a bit of arithmetic to get the fixed-sized element centered using absolute positioning and margins. Note that the parent container must have a position: relative property for this to work. Web fonts allow you to step outside of the normal web-safe fonts by taking advantage of CSS’s @font-face rule. However, right now, browsers aren’t uniform in its implementation of @font-face. More specifically, web browsers differ in the types of font files they support (hopefully this will change with the WOFF standards). Additionally, you must be careful with the fonts you use since some of them might not be licensed for web use. To sidestep the issues with @font-face, the Google Font API is here to the rescue. Here is an example of using the Cantarell font on <h1> elements that takes advantage of Google Fonts API. To use the font in h1 elements, simply use the font-family CSS property. Sometimes, you don’t want your text to wrap to the next line if it happens to reach the end of the width of its containing element. Notice that the link wraps at a whitespace in the text. What if we always want our links to be on the same line all the time (i.e. to prevent wrapping)? Simple. We just use the white-space property. Now, our links won’t wrap. We can use a variety of methods for horizontally aligning text (such as text-align: center or margin: 0 auto) but it’s slightly trickier to vertically align text. However, for single-line text, we can use the line-height property. 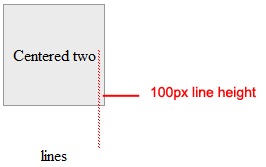 By setting the line-height property of the text element to the same height of its container, it will become vertically centered. As you can see, text-align doesn’t center it vertically. To fix that, we can set line-height to the same height as the containing div (100px). Note that this assumes the p element has no margin or padding. If you have margin or padding at the top or bottom of the p element, you need to compensate for them accordingly or just simply set padding and margin to 0 to make life easier. Also, this trick becomes troublesome when there is more than one line of text (i.e. when the text wraps) because there will be a space between the text lines that is equivalent to the line-height value. It’s your turn to share. Share your own favorite CSS tricks and techniques in the comments.